At The Service Companies, we value our associates because we understand they are what make us great. 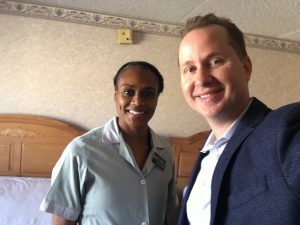 Our Guest Room Attendants across the country work tirelessly each day to deliver on our company’s promise and create the best possible experience for guests. 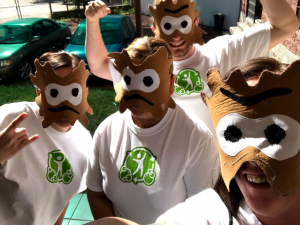 It is important to us that at no matter what level, property or department, our whole team contributes to a strong culture and works toward a common goal. Recently, our Senior Vice President of Human Resources, Matt Sanfilippo, visited one of our luxury casino hotel properties in Laughlin, Nevada, where he spent the day working as a GRA. Read below about his experience and what he learned. Which property did you visit? I visited one of our luxury casino hotel properties in Laughlin, Nevada. What position did you fill in on? I was a Guest Room Attendant in the Housekeeping Department for the day – I worked with another GRA, Latosha Jackson. What was your schedule like for the day? The schedule was intense. We were expecting a very busy day with many early arrivals. The house had to be turned by 4pm to accommodate the influx of new guests. On top of that, there were a large number of VIP guests flying in for a concert at the property that night. I did receive training, but for me it was strictly on the job, bootstrap style. We had a mission to get the house turned. I stripped the rooms and made the beds. Latosha took care of the bathroom and vacuumed. What were your observations about the culture of the department/property? I was concerned as I drove down to Laughlin from Las Vegas that the day was going to be intense with the momentous task that had to be completed. However, upon arrival, I was delighted to find that the staff was upbeat and positive about the challenge they had ahead of them. The culture is one of respect for co-workers and leaders. Latosha, the GRA I was working with for the day, loves her job (and does it well). Everyone embraces Project Director Alan Ching, who has done a fantastic job of shifting the work environment at the property. I took this opportunity to learn what motivated the employees to come to work each day. I found that it’s the culture, the way they are treated, and the camaraderie that is shared throughout the team. They appreciate working in an environment where they are respected by their peers and managers, and feeling like they’re a part of something bigger. 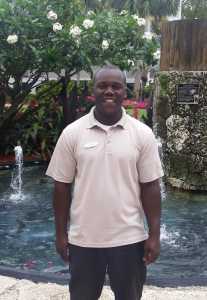 The associates are truly hospitality people and love giving service to our guests. What did you learn or take away from this experience? The job of a Guest Room Attendant is very difficult. It’s hard to imagine what cleaning eighteen rooms looks and feels like until you do it. The physical component is demanding. Mattresses are heavy. Linen is sometimes turned inside out. You question why a bed needs four pillows. Why do they need so many sheets? I attempted to leave each room in the condition that I would expect if I were a guest at the property. The experience was impactful and humbling because it gave me the opportunity to experience what all those terms I typically hear on conference calls mean. Turning the house means you are not leaving until all rooms are cleaned. A board is your roadmap through the day for your housekeeping experience. A Do Not Disturb sign is a happy sight when you’re close to the finish line. Make friends with a Houseperson, they can be life savers. I have a ton of respect for our Housekeepers throughout the country. It’s definitely one of the hardest jobs out there! Our Emerging Leaders Program was developed to give individuals within our team the opportunity for growth by providing comprehensive management and leadership training. 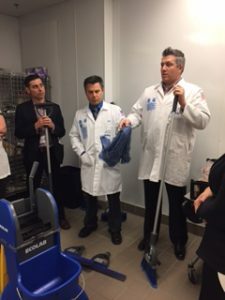 The Service Companies is dedicated to fostering and investing in our associates’ careers, and as a result, we have a number of tenured associates who have risen through the ranks from Kitchen Cleaners or EVS Attendants to Vice Presidents. 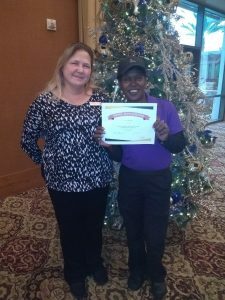 Today, we highlight Shelly Sauseda, who recently reached her one year anniversary with us as an EVS Attendant at a casino in Bossier City. During Shelly’s first year, her manager noticed great potential and an eagerness to learn more, and urged Shelly to apply to our Emerging Leaders Program. Currently two months into the six month management training program, which includes learning about the housekeeping and stewarding functions and departments, , including rooms cleaning, office dispatch, room inspections, floor care, kitchens, human resources and project management. We interviewed Shelly about her experience so far. I started at The Service Companies in March 2017 as a Restroom Attendant at a casino property in Bossier City, Louisiana. How did you learn about our Emerging Leaders Program and what do you hope to take away from it? I found out about the Program from Dekindra Thomas, the Project Manager at the property where I first started. I want to develop better leadership skills and to be an example so other employees can follow in my steps. The Emerging Leaders Program involves six months of training. How is your training schedule broken down and where are you currently in your training? I spend time at different properties learning the ins and outs of each department. 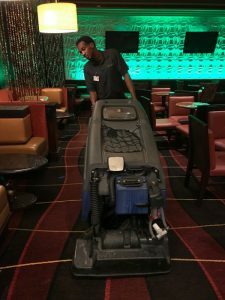 I completed my final week at a casino property in Bossier City, where I learned how to run an efficient and successful housekeeping department. Next I’ll move on to learn about floor care and kitchen cleaning at another casino in the area. Can you describe what your typical day-to-day looked like during the housekeeping training portion of the program? At first, I was cleaning rooms while learning room procedures and how to make beds. After I mastered those tasks, I was placed on dispatch for two weeks to learn about that housekeeping function. Next, I spent one to two weeks learning how to inspect rooms. I was also trained on the responsibilities of a house attendant. What has been the biggest lesson or thing you’ve learned through the Program? How to run dispatch was the biggest task I mastered. It requires strong multitasking skills. 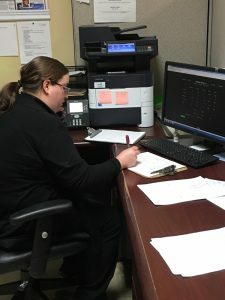 A Dispatcher has to take phone calls and radio messages while simultaneously managing the computer. What has been the most rewarding accomplishment for you since you started the Program? Being given the opportunity to move forward in my career already feels like an accomplishment. I also feel like I’ve learned a lot about each department’s job functions, including how to be a Dispatcher and the room cleaning inspection process. As you transition to the next stage of your training, what are you looking forward to learning or doing? I’m really excited to learn how to detail kitchens and polish and wax the floors. My training at the next property will include kitchen deep cleaning, floor care, marble care and stewarding. What advice would you give to someone who is interested in the Emerging Leaders Program? Be strong. Never give up. Push yourself to accomplish the new tasks that come with your position. It’s not always easy, but the outcome will be worth it. To learn more about our associate programs and career opportunities, visit http://www.theservicecompanies.com/careers/why/. Although Mother Nature seems to be confused this year regarding which season it is, summer is finally on its way. 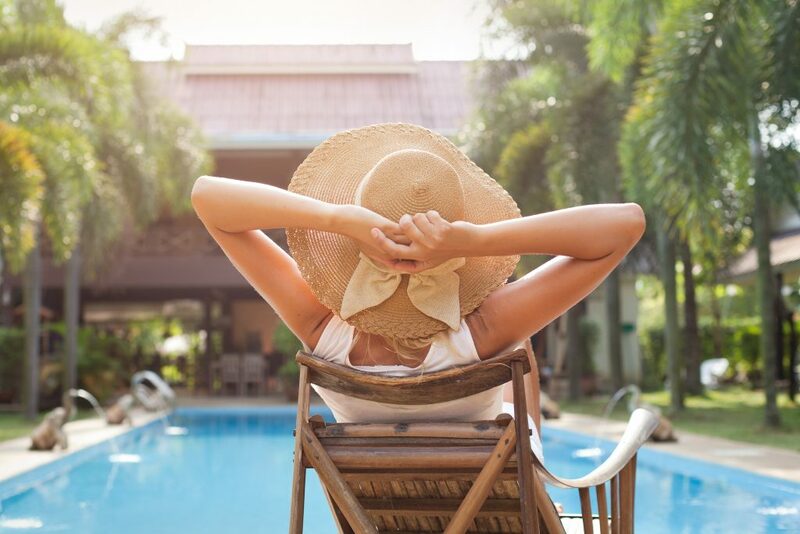 With schools beginning to let out for summer break, our luxury hotel properties across the country are increasing in occupancy, specifically with family travelers. Last month, The Service Companies completed our Annual Spring Cleaning Event, during which our teams cleaned and organized all back of the house areas, including offices, break rooms, storage areas and more. This was our initial step in preparing for the upcoming busy season. Maintaining a well organized back of the house area sets us up for success, as we are then able to quickly identify items needed and alleviate hiccups in service delivery. 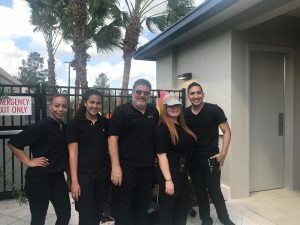 As we further prepare for the summer season, we focus on and place additional effort in stocking up on equipment and supplies, ensuring our staff is full, and providing refresher training to our teams so they are ready for the influx of guests. This includes making sure our teams are equipped with enough linens and amenities to accommodate each room and adjusting as needed. For example, a higher number of families requires us to need more towels than usual. Additionally, property information will be reviewed in our mandatory training meetings before each shift, as an increase in traffic will result in an increase in guest questions. While we are spending time preparing for the upcoming summer months, we can’t look too far forward. In May, not only are we stocking up for a busy season, we are celebrating Mother’s Day. We may not be able to give every associate who is a mother the day off, but we can ensure all team members can leave on time or early by making small adjustments to our schedule. Managers also celebrate with pre-shift activities to let everyone know they are appreciated, and to thank them for spending their special day working hard to service our guests. The appearance of a property’s carpets can affect a guest’s experience and impression of the hotel or casino. I have seen occasions where carpet appearance has impacted guest satisfaction survey ratings. 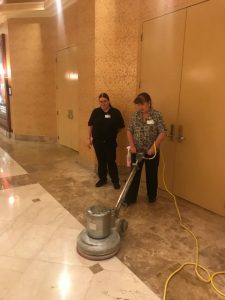 Carpets throughout the building are exposed daily to high traffic, heavy soils and spills, and chewing gum, and are many times, the first areas of a hotel, resort or casino to show signs of wear and tear. 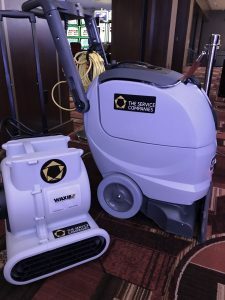 At The Service Companies, we have spent years evaluating different types of carpet care processes for both carpet deep cleaning and interim maintenance to keep our customers’ properties’ carpets in excellent condition. 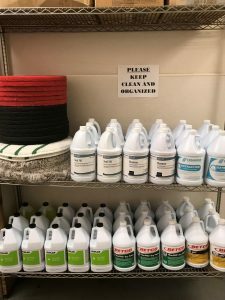 We have furthered that by partnering with Ecolab and Kärcher for our chemical and equipment needs at all of our customer properties. Customers normally bring soil, dirt and other types of debris into buildings. A daily vacuuming regimen with a strong suction vacuum cleaner is our best tip to maintain the cleanliness of the carpets. This will pick up the debris and soil, leaving the carpets fresh for the next day. It is also the best chemical-free carpet cleaning method for those who want to avoid using chemicals. If this daily carpet maintenance is done correctly, then, when the time to shampoo the carpets comes, only a mild shampoo and water is required to clean the fibers. Because of the daily vacuuming, there will be no soil remaining in the carpet fibers to turn to mud. Of course, interim maintenance is required on occasion to keep carpets in good condition. 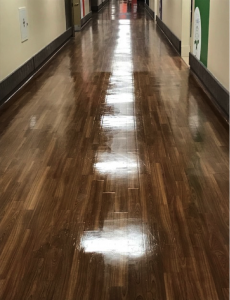 The two processes I detail – encapsulation shampoo and dry carpet cleaning (HOST) – are quick and do not use water, which allow the carpets to be open for traffic immediately after the process is complete. They normally clean the top fiber of the carpets and can be applied frequently. Encapsulation shampoo: Polymers are used to encapsulate and crystalize particles into dry residue, which is then vacuumed from the carpets right after the process is completed. Dry carpet cleaning (HOST): This involves a dry cleaning compound with mild soap. The HOST carpet cleaning equipment has brushes which agitate the compound, clean the fibers, and vacuum them. When it comes time to deep clean your carpets, we prefer hot water extraction and steam cleaning. Hot water extraction: This is the most common method of carpet deep cleaning, and is recommended by many carpet manufacturers. 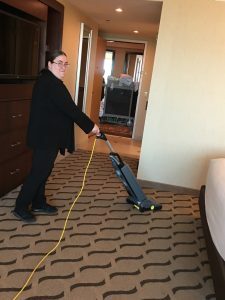 Steam cleaning: In the dry carpet cleaning vs. steam cleaning debate, it’s important to clear up the myth that steam is actually used to clean your carpets. While home and commercial machines use hot water, which gives off steam, the steam itself does not clean carpet. To inquire about our carpet cleaning services, visit http://theservicecompanies.com/contact/. Victor Vargas, Regional Vice President of Operations, launched his career at The Service Companies as a Third Shift Kitchen Cleaner in 2002. With dedication and mastery of his craft, he has advanced through the company into his current role as Regional Vice President. 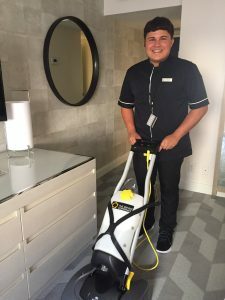 Victor is The Service Companies’ resident expert on all types of floor care and kitchen cleaning. 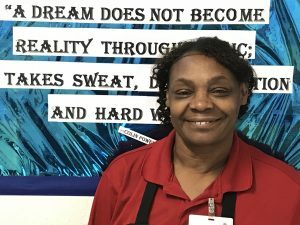 Our next feature of the Leaders in Service series is Barbara Johnson, Stewarding Supervisor at one of our casino properties in Shreveport, Louisiana. Barbara has been with the Service Companies for over 10 years, and has shown endless dedication and remarkable leadership. How long have you been with The Service Companies? I’ve been with the company for 11 years, working at two properties in the Shreveport area since I was first hired. What role(s) have you had here and what is your current position? I started as an EVS Attendant and was promoted to Supervisor. My background includes working on EVS and Stewarding teams and I work closely with The Service Companies’ customer’s Food & Beverage team here in Shreveport. My job entails making sure my team is able to do their job, from roll call and pre-shift meetings at the beginning of the shift to making sure my team members are where they need to be and has what they need. I provide my team with everything they need to succeed each day. How do you stay motivated or how do you motivate your team members/coworkers? I make sure my team knows that the most important part of their job is about respect for themselves, their team and their guests, and I respect them. I motivate them by making sure they have what they need to do well, and also recognize associates with giveaways and announcements to let them know they are appreciated. This past holiday season, we all pitched in for a Christmas celebration, and I made sure everyone felt included and ate well. I love my team and being around people. I enjoy communicating with them about their jobs and training, making sure they have everything they need to succeed. You have been with The Service Companies for over 10 years. What has kept you on our team and what do you like most about the company? I love doing my job and I like my bosses. I enjoy the environment of The Service Companies and being a part of the team. We are thrilled to have such a tenured member on our team. Through the years, we imagine you have experienced and learned a great deal. Is there any advice you’d give to a team member who has joined The Service Companies? I would tell them to have a positive attitude, by happy and cheerful, and get comfortable with their job. Outside of work, what are you passionate about? What do you do when you are not working? I like spending time with my friends and family, and being there for them when I’m needed. At The Service Companies, we understand that our people are what makes our company great and enables us to provide our customers Service. Above All. No matter what level, property or department, you will find exceptional associates who live and breathe our brand and have helped create a strong corporate culture. In the spirit of honoring the people and leaders within our company, we feature and interview our outstanding associates in our series, Leaders in Service. Social responsibility is important to us and we drive corporate social responsibility among our clients. 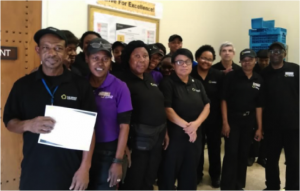 In early November, we partnered with Caesars Entertainment and Clean The World for the fifth consecutive year to send two members of our housekeeping teams on a service trip to distribute recycled soap and hygiene kits to underserved youth and communities. 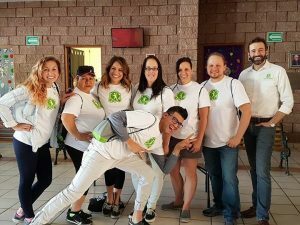 This year, Cynthia Isrow (EVS Supervisor in Laughlin) and Yerky Santana (Housekeeping Supervisor at a casino hotel on the Las Vegas Strip) were selected to travel to Guadalajara, Mexico with Clean The World and Caesars Entertainment’s winners. 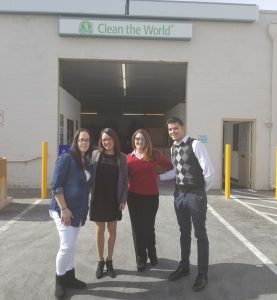 Their trip began in Las Vegas, where the group received a tour of Clean The World’s Recycling Operations Center, which is celebrating its fifth anniversary, to learn how Clean The World takes, sanitizes and repackages partially used soaps and hotel amenities collected by our associates. 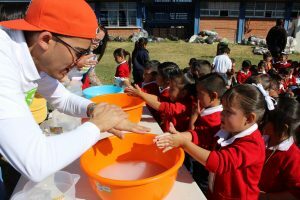 In Guadalajara, through Children International, Cynthia, Yerky and the trip participants spent three days distributing soap to impoverished families and taught them how to properly wash their hands to prevent disease. Now that they have returned from their trip, we took some time to speak with Cynthia and Yerky about the trip and how it affected them. Read our interview and view the photos from the trip below. What was your reaction to hearing you were selected to go on the soap distribution trip to Guadalajara? Cynthia: At first, I was a bit uneasy about traveling to Mexico. But I was very excited to have the opportunity to go. Yerky: I was excited to go. I lived in Guadalajara for a time, so I know about the city and the living conditions in which many of the people live. I knew that by going with this group, I would be able to make a big impact. What were your expectations of the trip when you were selected? How were they the same as or different than what you experienced? Cynthia: I expected that we were just there to hand out soap, but it turned out to be so much more than that. We spent time with the families and children we were helping along with Children International. It was a very rewarding experience. Yerky: The trip ended up being more impactful than I expected it to be. For me, I left Guadalajara thinking more about how other people live and the opportunities available to them. Before, I was more concerned about my life; now not so much. What advice or information can you give our associates participating in the Clean The World initiative on property? Cynthia: Keep doing it. Collecting the soap is so important. To us, it might just be soap, but to others, it’s life. I am vocal about how important this is on property. Yerky: People may not think about how much they can help others by collecting the partially used soaps left behind by guests. On the trip, I saw that one bar of soap has a big impact on these communities. 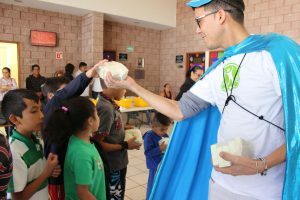 One bar of soap for us is not a big deal, but for the people in Guadalajara, it’s life changing. I would encourage everyone to collect as much soap as possible. It is amazing to hear that one bar of soap, which may be something we take for granted, has such a significant affect on a family or community. Has this trip impacted you in any way? Cynthia: It has impacted me in so many ways. Other than wanting to be more involved with my team, I am looking at sponsoring a child in Guadalajara through Children International. Hopefully by January, it will be all set up. 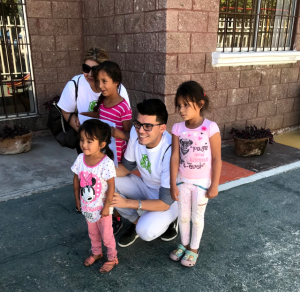 When I was in Guadalajara, I saw how the programs Children International provides these families are so effective and I want to give one child the opportunity to have his or her education, medical bills and more covered. I left Mexico believing that one person can change one life. Yerky: When we’re cleaning guest rooms, we don’t think about how the soap or toilet paper we collect is important. I left driven to do more to help people less fortunate. 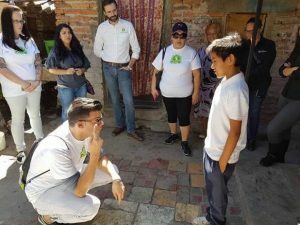 I’m just one person, and even though I can make a difference, this trip made me realize the great potential people with resources have to combat poverty in the world. I made a promise to myself to contribute more, but more people have to get involved. What was the most memorable part of the trip? Cynthia: There was a mother that we met that I will never forget. When we were teaching the kids how to properly wash their hands, each would receive a gold star sticker. She also really wanted to learn and she was so excited to get a gold sticker. She was so thankful and grateful to receive the sticker, which is burned in my mind. This trip put my life into perspective and was a mind opening experience. The people we were helping work from 5am to 11pm each day and only make $150 per month. They make the most out of what they have, which is an important lesson for us all. Yerky: For me, there were two very memorable parts to the trip. The first was when we visited a family at home. We showed everyone, from the children to the grandmother, how to wash their hands. Visiting them reminded me that my family and I used to live like this in Cuba. I understood how hard they work just to buy some bread and milk. It put my life into perspective. 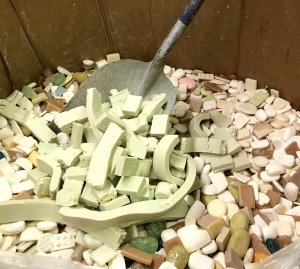 The second memorable experience for me was the visit to the Clean The World Recycling Factory in Las Vegas, where we saw how the soaps we collect are sanitized and repackaged into new soap. Are there any other memorable moments from the trip you’d like to share? Cynthia: There was a moment with Yerky interacting with a child during a home visit that I think was memorable for all of us. Yerky asked the boy how many times he could jump on one foot in a minute. The boy responded with 50 times. Yerky stopped the boy after 30 seconds of jumping and told him that he jumped 78 times in half the time. Yerky told the boy to never underestimate himself and to always realize what he is capable of. Yerky shared that he was poor, just like the boy, growing up in Cuba and being told the limits to what he could do in life. Yerky continued that now he lives in the United Sates working on the Las Vegas strip, has traveled to 48 countries and accomplishing what he sets his heart to. What an incredible story. Cynthia, how has your team in Laughlin been so successful in collecting unused amenities that are donated to Clean The World? Cynthia: Through constant encouragement. I think now that I can share my experience with them, they will begin to realize the value of what we do and we will be even more successful. Both of you have mentioned that now that you’ve returned, you want to do more. Can you elaborate on that? Cynthia: I’ve already started looking at hosting community hygiene kit builds and getting more involved with Clean The World here in Nevada. Yerky: I’d like to start volunteering, even if it’s just one day a week. I know I can make a difference, no matter how small the task. At The Service Companies, we understand that our people make our company great and enable us to provide our customers Service. Above All. No matter what level, property or department you look, you will find exceptional associates who live and breathe our brand and have helped create a strong corporate culture. In the spirit of honoring the people and leaders within our company, we will feature and interview our outstanding associates in our series, Leaders in Service. I have been working for The Service Companies for six years. Since I joined, I have held Houseman, Public Area, Laundry, Carpet Cleaning and Housekeeping positions. Currently, I am a Laundry Attendant/Public Area Attendant/Houseman for a vacation ownership resort in Key West, Florida. I do any job that is asked of me. Since my role with The Service Companies includes Houseman, Laundry and Public Area duties, I help out wherever I am needed. I enjoy it. That is a great attitude to have, and one that we value at The Service Companies. Our last question for you is what do you enjoy doing when you’re not working? When I’m not working, I like to read books and play sports, particularly soccer and basketball. Partnerships with Environmentally Friendly Suppliers: Ecolab is equally committed to the sustainability of their operations and offers products that are environmentally responsible. Our nationwide partnership with Ecolab means we work with their representatives to tailor select chemicals for each of our customer’s properties. When available, our first choice is to source environmentally friendly chemicals and solutions. Durable, Long-Lasting Equipment and Repairs: The Service Companies is committed to using best-in-class, energy-efficient equipment, which is more effective and durable. Our equipment specifications must meet goals for improving or liming the impact to indoor air quality, water consumption, energy consumption and lower chemical usage. By working closely with our manufacturers, including Karcher, we are able to determine the right process to achieve the highest possible results at the lowest possible cost. This means our team is consuming less energy, chemical and water to clean our customers’ areas. Also, instead of replacing equipment at the first sign of an issue, we repair it to its original efficiency, increasing the lifetime of the equipment. When equipment and materials are to be disposed, we never send them to a landfill. The Service Companies contracts with local and regional resource recovery companies to recycle or redistribute material and equipment we no longer have a need for. Clean The World: For the fourth consecutive year, many of our on-property Housekeeping teams have partnered with Clean The World, an organization that collects discarded hotel hygiene items, re-purposes them in a sanitary manner, and distributes them to people who are at risk of contracting hygiene-related illnesses. Our Housekeepers have been integral to collecting the 40 million+ bars of soap that Clean The World has distributed to over 115 countries. Recycling: We support our customers’ recycling efforts by ensuring proper separation of recyclables from landfill trash. In some operations, we have one person dedicated to this task. Our employees are trained to prevent cross-contamination of landfill trash with recyclables. We use color-coded trash bins that are clearly marked for the type of trash – green for landfill, blue for recycling. Reducing Greenhouse Gas Emissions: We reduce emissions related to our business by limiting the number of product orders per month, using battery operated equipment where feasible and limiting the use of fuel-powered equipment when work can be done efficiently by other means, to name only a few. We run estimated monthly emission reports that show total carbon dioxide tonnage created and saved in operations. These reports are critical to The Service Companies meeting and exceeding our emission reduction goals.